Most children participate in some form of child care outside of their homes during the first three years of life. Experiences during these earliest years matter a great deal for children’s future success, but unfortunately, high quality care can be both difficult to afford and difficult to find. Variation in quality can be at least partially attributed to the inconsistent child care licensing standards across states and the fact that in many states, some programs go unregulated altogether. There’s been encouraging movement at the federal level to address these challenges, both to expand access to quality care and early education and to better ensure that children attend centers with safe and appropriate environments. Last year’s Child Care and Development Block Grant reauthorization received bipartisan support to make child care subsidies more accessible for families and strengthen safety regulations. The FY 2016 spending bill increased funds to make this possible. (The Administration for Children Families is currently seeking comment on proposed regulations to implement the new law.) The Obama Administration’s Race to the Top- Early Learning Challenge grants have helped states ramp up systems to measure quality and encourage improvement. And last year the Administration made child care a key part of its domestic agenda, calling for a three-pronged approach to expand access and improve quality. 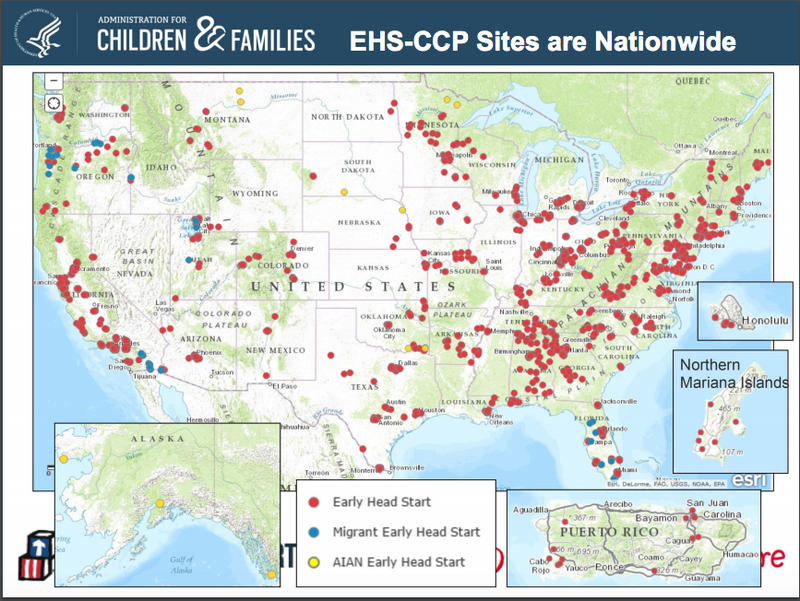 There’s another federal initiative with these same goals that’s making a lot of headway at the local level: the Early Head Start-Child Care Partnerships (EHS-CC). Just over a year ago the Department of Health and Human Services (HHS) released the winners of the first round of EHS-CC grants. The EHS-CC partnerships are a simple but powerful concept: local child care programs partner with local Early Head Start (EHS) programs to increase the reach of EHS and improve the quality of child care. EHS has been providing comprehensive early intervention services to low-income pregnant women, infants, and toddlers for over 20 years, but because of limited funding the program has only reached a sliver of eligible families. In the 2013-2014 year, EHS served approximately 145,000 families with young children-- about four percent of those living in poverty. Because Early Head Start programs are held to strict performance standards they tend to be higher quality than your average child care center. Through the EHS-CC Partnership grants, EHS programs partner with center- or home-based child care providers that agree to adopt the EHS Program Performance Standards. In theory (and hopefully in practice), this raises the quality of child care centers because they receive new funding and means more children will have access to EHS services. So what have EHS-CC Partnership grantees accomplished over the last year? 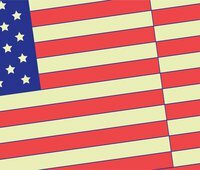 The federal government has yet to release a report on the program’s overall progress, but the Administration for Children and Families did host a webinar in November highlighting two grantees’ promising work. Grantees have been busy over the last year: approximately 32,000 infants and toddlers are expected to enroll in the nearly 3,000 new EHS-CC classrooms over the next year. Linda K. Smith, Deputy Assistant Secretary for Early Childhood Development at the Department of Health and Human Services, called last year’s developments “nothing short of a miracle” because of the unprecedented communication and coordination between Early Head Start and child care programs. As depicted below, the partnerships are truly nationwide, with at least one grantee in each state. During the webinar, Dr. Jane Wiechel discussed the Schoenbaum Family Center at Ohio State University’s EHS-CC partnership. The Schoenbaum Family Center is a high-quality EHS center that originally didn’t have the capacity to reach all eligible children in the community. Long before there was any guarantee of funding, potential partners in the area began meeting to discuss working together to identify gaps and determine how they could collaborate. This partnership and relationship building allowed the community to better leverage resources and serve more children, both with EHS-CC and other funding streams. They now have 11 EHS-CC centers and six EHS-CC home providers, with more providers looking to join. Along with the grantees’ successes have been a handful of challenges, including alignment between Head Start and child care licensing standards and building a high-quality workforce. Carol Hartman from the Georgia Department of Early Care and Learning (DECAL), which focuses on programs for children from birth to age five, discussed the state’s EHS-CC progress. DECAL is one of eight EHS-CC grantees in Georgia. Last year the state added 1,300 EHS-CC spaces, a 41 percent increase from the previous year. The state now has a range of center-based and home-based partners, one of which is located in a homeless shelter. Georgia also has a Race to the Top- Early Learning Challenge (RTT-ELC) grant, and according to Hartman, all partners have the opportunity to be involved in RTT-ELC work, such as professional development, in addition to the EHS work. DECAL ensures that all EHS-CC partners also have access to Child Care & Development Fund subsidies. EHS-CC has helped the state to better coordinate federal, state, and local efforts to improve access and quality of care for young children. Back in September, Invest in Us hosted a webinar highlighting promising developments in state early education policies, including the EHS-CC work in Pennsylvania. Pennsylvania, another RTT-ELC state, also received a state-level grant. (The other state-level grantees are Alabama, Delaware, DC, California, and the Mariana Islands.) Pennsylvania’s Office of Child Development and Early Learning (OCDEL) has supported grantees in EHS-CC expansion, partnering with the Pennsylvania Child Care Association and Pennsylvania Head Start Association. OCDEL has been expanding EHS services to parts of the state that did not previously have access to the program and has guided collaboration among grantees. OCDEL is working to align EHS-CC with other state priorities, such as home visiting (partially funded by MIECHV), the pre-K through 3rd grade alignment work happening as part of RTT-ELC, and workforce development. Based on the stories shared during these webinars, it appears that EHS-CC Partnerships have a broad reach and are encouraging collaboration not only among individual EHS and child care programs, but among broader early childhood systems. Even at the federal level, the Office of Head Start and the Office of Child Care are now collaborating to provide training and technical assistance. EHS-CC received a $135 million bump in this year’s spending bill, which should support grantees as they continue this work.